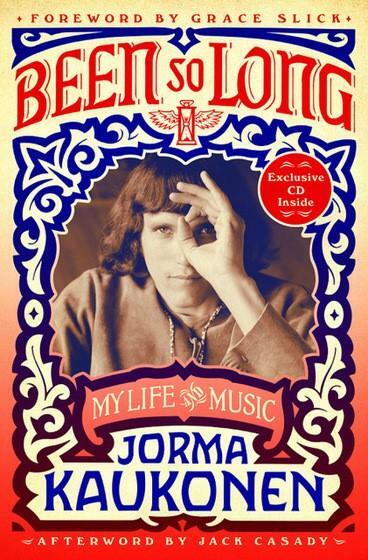 As a founding member of Jefferson Airplane and Hot Tuna, Jorma Kaukonen has had a long career in the music business. Along his journey, not only did he attend Antioch College where he was introduced to the guitar style of Rev. Gary Davis, but he was also inducted into the Rock and Roll Hall of Fame with Jefferson Airplane in 1996. "With a foreword by Grace Slick and an afterword by bandmate Jack Casady, BEEN SO LONG is an intimate portrait of an artist who was at the forefront of Psychedelic Rock and has since become one of the most highly respected interpreters of American roots music, blues, and Americana. Kaukonen’s memoir reveals the stories behind the songs, lessons from a life in the music industry, and his reflections on a remarkable decades-long career." Of course, Jorma's Fur Peace Ranch, which is a popular venue for concerts, is located not far from Cincinnati in Pomeroy, Ohio, and features a guitar camp and concert series.